There’s Still Time to Apply for a Promising Practice Award! Has your school or district implemented a successful Character Education practice? If the answer is yes, we want to recognize you for your hard work! Apply for a 2017 WCEP Promising Practice award. Each recipient will receive scholarships for you, your school’s principal and cohorts to attend the 13th Annual Character Education Conference and the Eleven Principles of Effective Character Education Training in June at Alverno College. Recipients will be honored at the Conference. Continuing Education Credits are available. APPLY NOW – DON’T MISS MARCH 15TH DEADLINE! 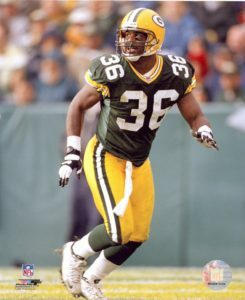 Keynote Presenter: LeRoy Butler, Green Bay Packers Hall of Famer and Community Activist, through his “Butler vs. Bullying” campaign, is taking a grass roots approach by striving to bring professionals, teachers, parents/ families together to discuss the social problems that derive from bullying.